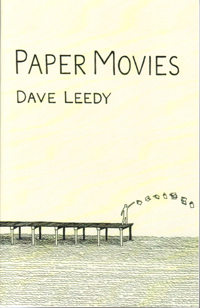 Dave Leedy, a co-founder of The Island School on Bainbridge Island, is the author of Paper Movies (2011). The book is the story of a gifted young woman from South Dakota who spends a summer with her Dad in California. Her plan is to study math with one of her Dad's friends but soon mysterious people and events set her off course.